Patented N.S technology provides comfor and natural-looking effect for all gorgeous eye color. 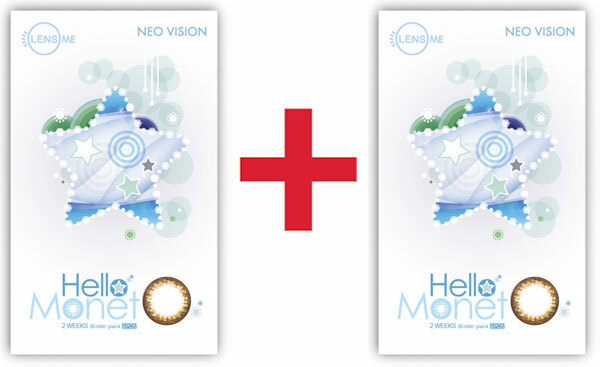 NEO COSMO is manufactured on the sandwich engineering method, sandwich process is to infiltrate the cosmetic color between the inside and outside layer of the contact lens, which makes comfortable feeling and preventes decolorization of the lens. 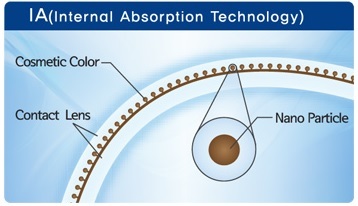 Internal absobption technology brings the best comfort with non direct contact beween eye and circled area of the lens. 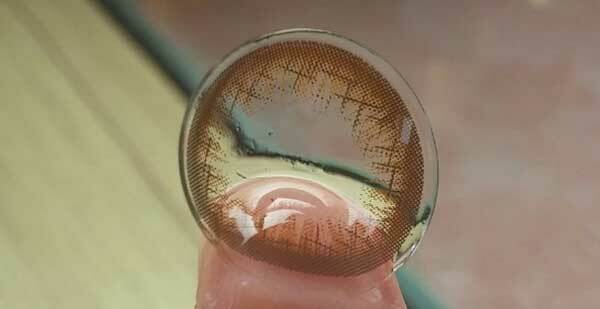 Using U.S. FDA approved safe pigment, circle lines are printed by penetrating and absorbing into the lens material. Perfect complement to my regular contact lenses. 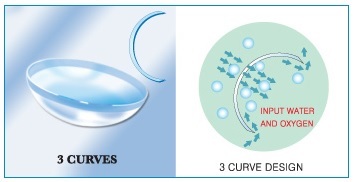 I was searching for a companion to my clear contact lenses since I regularly use contact lenses for my vision. After much debating, I decided to try these and am really happy with them. They're only slightly drier than my Acuvue Oasys but not by a lot. Applying eye drops makes them perfect for daily use but I try not to use them for prolonged hours since they are thicker due to the pigmentation of the lens. The shipping was also incredibly fast and the price is really great due to the 1+1 sale. How natural do they look? Definitely natural - the lens size was only noticeable to myself the first days but now they look natural to me. There's only a slight halo effect (not noticeable unless you search for it) but even then, it's a natural look. As lenses to use regularly, I recommend using as a complement to your clear lenses + glasses with the small warning to know your own limitations and treat your eyes with a bit more care than your clear lenses since the lens is thicker.